It is time, in the wake of yet another school shooting, for a history lesson. One of history’s fundamental lessons, after all, is that if something terrible happens, and those with the power to prevent it from happening do nothing, it will most likely happen again. The Valentine’s Day Massacre at Parkland happened just over three months ago. 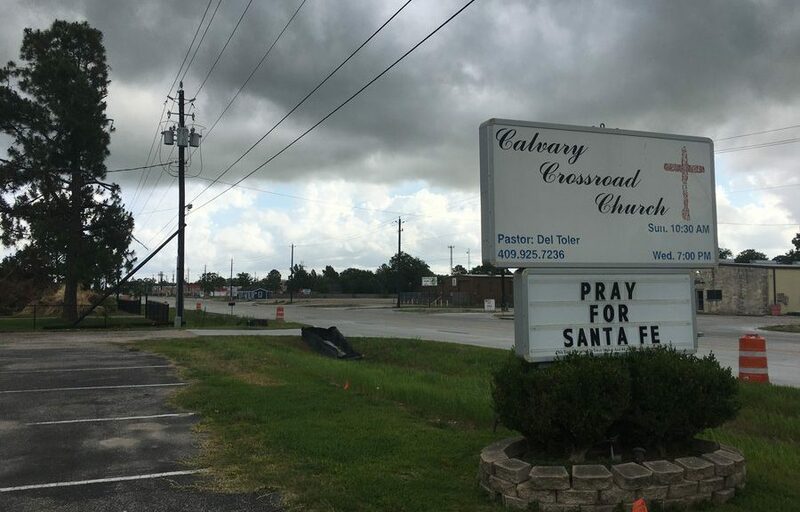 And last week, in Texas, a state that fetishizes gun violence like no other, a right-wing terrorist murdered children in their classrooms at Santa Fe High School. Much has been made, and rightly so, of Paige Curry’s heartbreaking statement. The Santa Fe student, who survived the shooting, told a reporter that shootings have “been happening everywhere.” She “always felt it would eventually happen here.” How could anyone who watches the news disagree? Welcome to the new normal. My children practice fire drills at their school, just as I did as a child. They also practice what to do in “active shooter” situations, and I am pleased that their school has policies in place. The awful pro-gun trolls on Twitter have asserted that school shootings are rare, that the odds of a student experiencing a school shooting are extremely remote. The active shooter drills, as a result, they say unnecessarily alarm students and parents and gin up anti-gun sentiment. Of course, these folks do not complain about fire drills, even though students are much, much more likely to get shot at school than they are to be injured in a school fire. The last time more than ten people died in a fire at an educational institution was 1959. Texas Lt. Gov. Dan Patrick suggested, once again, that teachers should arm themselves. He suggested that schools had too many doorways because easy access to the building made this shooting possible. Spare me. The time has passed for anyone to take this tendentious rhetoric seriously. Patrick ignores the one obvious reality, and the one thing that makes the United States different from countries where school shootings and death by gunshot wound do not occur so commonly: the ready access and availability of guns. Guns are the problem. “Molon Labe,” the gun-nuts say, “Come and take them.” That’s what that violent slogan means. It is a threat. If you try to take our guns we will resist. You heard the Parkland survivors. You saw the hundreds of thousands who marched earlier this year in cities across the country, proclaiming, “Enough.” They are coming, legislatively, at the polls, by building a mass movement, aimed at implementing the effective “regulation” of firearms. No one fears you any longer. No one, save for the timorous leaders of the GOP, fears the NRA. Because until this scourge of weapons is limited and controlled, none of us are safe.